Here we are--finally! The big event! 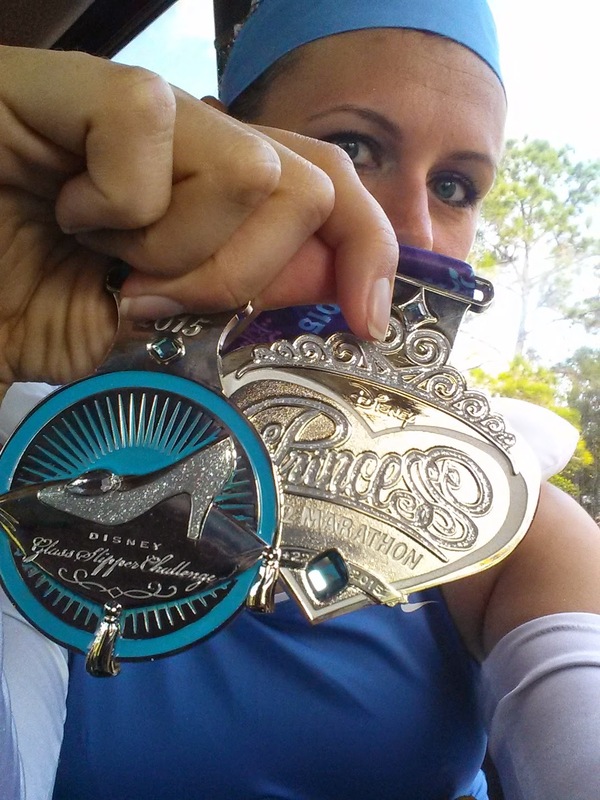 This was my first Princess Half Marathon, and I was SO excited. I didn't even know at the start how much fun this race would be, but just to set the record straight, this is a MUST DO for all the ladies who love runDisney! Truth be told, I was running a bit late that morning. I kept forgetting things in the room, and when we got to the buses, there was a huge line. We waited, and finally got on the third bus. I have a suspicion that our bus driver was a temp because once on the bus, he clearly didn't have any idea how to get to the start line in a timely fashion. We ended up there really late, and I missed all of the fun pre-race fanfare. I got into my corral just in time to start--I hate feeling rushed!!! Today's course was exactly the same as the WDW Half in January, so I was very familiar with the course (I had just ran it a month earlier). I hadn't trained much since the Surf City Half a few weeks earlier, and I knew I had to take it easy. The night before I was starting to catch a cold and was really feeling under the weather. I knew I could finish, but I also knew I couldn't push it. I started out with my 3/1 intervals to stay on the safe side. My pace was okay and I was feeling fine...not great, but fine. The first few miles are on roads, which is nice because it gives you some time to settle into your pace and spread out. This course was definitely crowded, though. I started in corral C, but wasn't running at an all out pace, so I was probably more in line with corral D for the majority of the race. At around mile 6, you finally get to the Magic Kingdom. I feel like I say this in EVERY recap, but there is really nothing more magical than turning the corner to run down Main St USA! The sun was just starting to come up, but the castle was still lit. We also ran through Tomorrowland, Fantasyland, and out through Frontierland. It was quick, but it was nice to break up the course. More time on the roads through the infamous "cone alley" (it's always tight there) and on our way to Epcot! You enter Epcot in Future World and pretty much stay there the whole time. While it's not much park time, it's great because you know the end is near. The finish line was AWESOME--and had tons of surprises! The medals were great and right after you got your medals, fairy godmothers were there to sprinkle you with sparkles. It was such a sweet touch! Then, as you started to collect your post-race goodies, you were given a drawstring backpack! This was such a great idea--I wish they did this for every race! I gathered my things and headed out to meet my hubby. No congratulations, no hugs, just "aren't you excited...we're going to Paris!" Huh? Wait...what? I refer back to the start where our bus was so late I missed all the pre-race fun. Well, I had totally missed the HUGE announcement: They finally announced the dates for the Disneyland Paris Half Marathon!!!! Forget this race; we were on full planning mode for Paris! What a great ending to a great race weekend! All in all, I loved the entire Princess weekend! I hope to come back for a girls trip sometime soon. 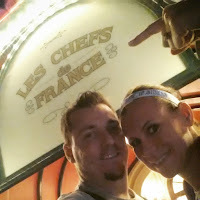 It was themed perfectly and I really appreciated all of the little touches that made it magical. 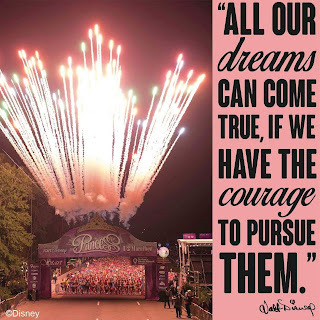 It's on my runDisney must-do list for sure!